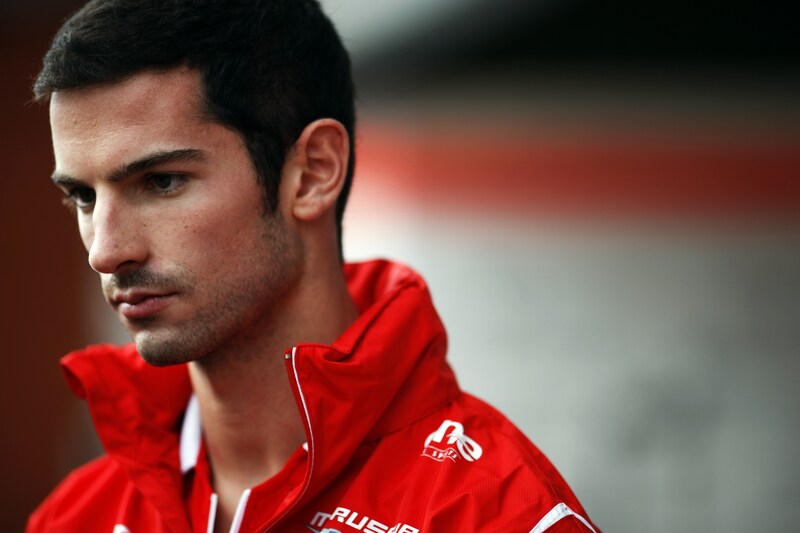 Marussia F1 Team have entered Alexander Rossi as their second driver for this weekend’s Russian Grand Prix. Although entering Rossi in the official entry list, the team say they are yet to make a decision on if they will run a second car, alongside Max Chilton, to replace Jules Bianchi. Bianchi, who has raced with Marussia since his debut in 2013, is in a critical condition in hospital after a freak accident at the Japanese Grand Prix last weekend. Rossi, who signed as the Marussia reserve driver in August, may be called on step in to replace his injured colleague. Rossi raced with Caterham’s GP2 team and served as Caterham’s reserve driver until this July, when Caterham changed ownership. 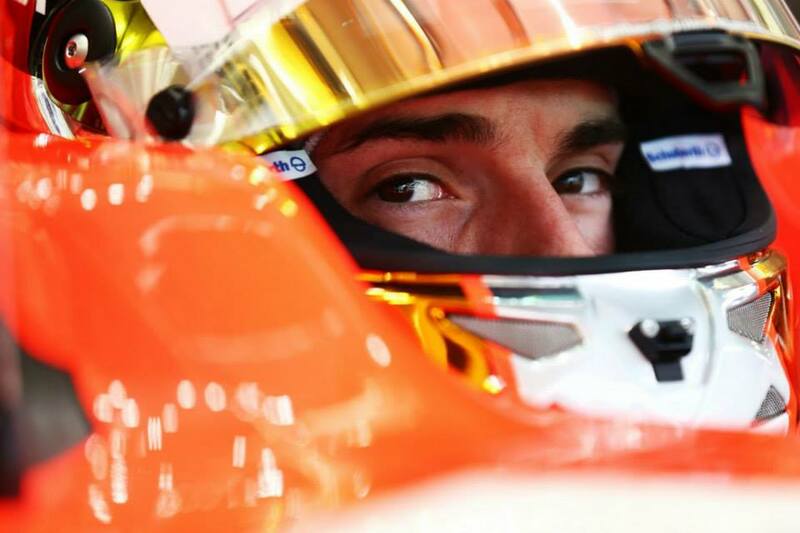 Marussia say they will announce their decision on Friday morning, before Free Practice One. 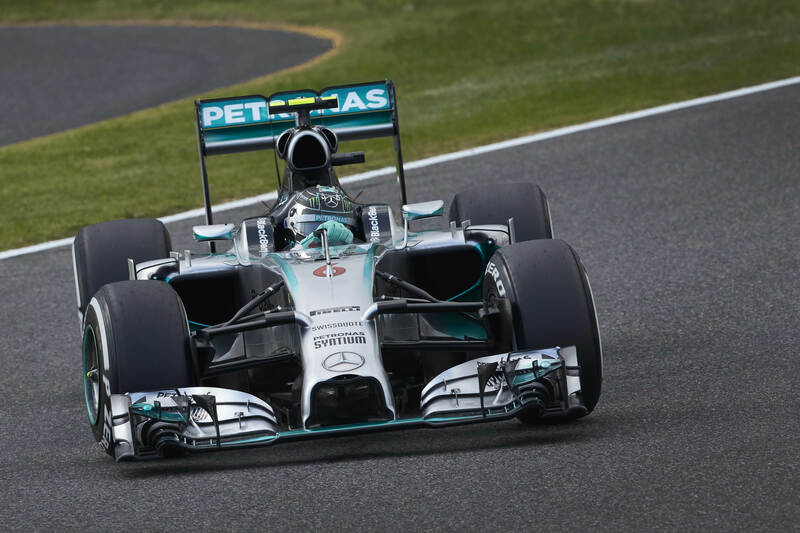 Lewis Hamilton took victory at a shortened Japanese Grand Prix today, overtaking team-mate Nico Rosberg mid-way through the Grand Prix to extend his lead in the World Championship fight. The race began behind the Safety Car as Typhoon Phanfone hit the circuit, as was expected, and made it too dangerous to complete a standing start. However, there were but a lap and a half completed before the race was red flagged due to the rain getting heavier. The FIA had twice asked Honda, the organisers, to start the race four hours earlier to avoid the rain, but Honda twice refused, hence the unnecessary problems in the race. Finally the race restarted, albeit still behind the Safety Car. Race control left the Safety Car out until lap 9, although drivers were insisting that the track was completely driveable by lap 6. Hamilton, in second, was the main man trying to get the race underway, directly radioing Race Director Charlie Whiting to plead for the race start. Meanwhile, Alonso was trying to warm himself in the garage after retiring on lap three with a car electrics failure. The Safety Car came in on lap nine and Rosberg led the pack across the start/finish line to begin lap 10, and start the race proper. Hamilton, who was so keen on getting the race started, looked at passing his team-mate, but was unsuccessful and slotted back behind into turn 1. Sebastian Vettel was also on the move and pulled an ambitious overtake on McLaren’s Kevin Magnussen, which the Dane managed to fend off. Undeterred, Vettel tried again down the straight into 130R and was successful, moving up the order. Button was the first man to come into the pits and take on the intermediate tyre compounds, returning to the track far down the order. Although he struggled in the conditions, he soon proved to be faster overall and when a cavalcade of drivers came into the pits at the same time, Button passed them all and moved himself up to third, behind the two Mercedes drivers. It was Rosberg’s turn to box from the lead next, but as the team tweaked with his front wing, it cost him a small amount of time in the battle to rejoin ahead of Hamilton. It was up to Lewis then to optimise on the delay, but he himself went wide at Spoon corner and lost some time. When he rejoined the track after his pitstop, he was 2.4s behind Rosberg. As Hamilton began to slowly close the gap to his team-mate in the lead, the two Red Bulls were battling the two Williams’. Vettel was the first to make a move, diving up the inside of Massa’s Williams into the hairpin and getting past. Ricciardo tried to follow his team-mate in the following corners, but the Brazilian was proving to be good competition. Instead, Ricciardo waited until the Dunlop curve, sliding past on the inside in one of the overtakes of the season. In fact, he mirrored it a lap later when he followed Vettel past Valtteri Bottas at the same spot. Impressive racing from all four drivers. In the meantime, Hamilton had been closing the gap and finally made it within the DRS 1-second gap. His first few attempts at passing Rosberg on the start/finish straight were unsuccessful, but on lap 29 he had a powerful run from the final chicane and pulled an impressive move on the outside of turn 1 and took the lead of the Grand Prix. Soon afterwards, the rain began to get heavier. Kevin Magnussen, for example, was caught out and spun an impressive 360 before continuing as if nothing had happened, albeit now a place down. Sebastian Vettel was also caught out through the S-curves, skipping across the run-off area before rejoining. Although the rain was coming down harder now, and the DRS was disabled, Ricciardo was still on the charge and moved up the order after a move past Button at the hairpin. Yellow flags came out during the overtake, as the rain became increasingly heavy, and the threat of a red flag drew nearer. Adrian Sutil had aquaplaned off the track into the barriers at the Dunlop curve, but was unhurt in the collision. However, when the JCB came out to clear the Sauber, Jules Bianchi slid straight off the track and hit the JCB sideways. Bianchi had been hurt. He was unresponsive to the team’s calls on the radio, and the medical car was deployed. An ambulance was called to the scene and Bianchi was taken to the medical centre before being forwarded to the hospital. He was unconscious leaving the track and was sent by road ambulance, as opposed to the medical helicopter which is kept on scene for this purpose. There are no further details as to his condition, but, of course, we all hope he’s okay. 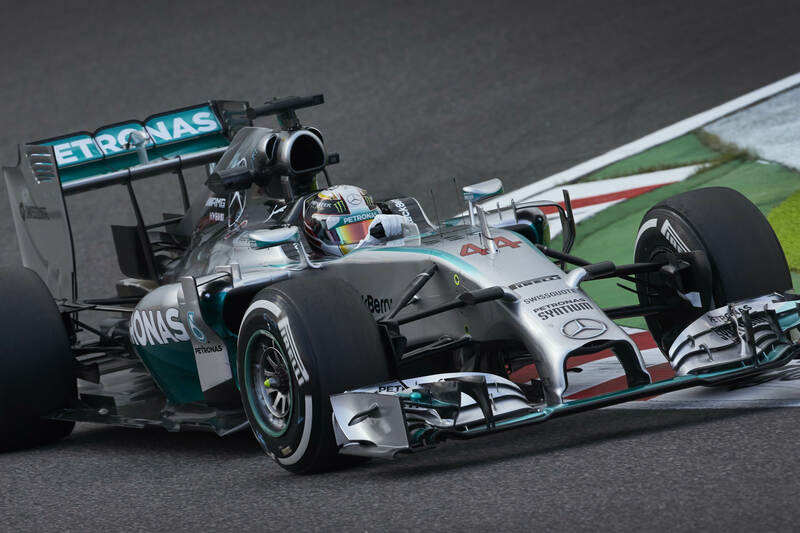 The race was red flagged as a result and meant that Lewis Hamilton won the race, with 7 laps remaining. Nico Rosberg finished behind in second, meaning the Championship gap increases to second, while Sebastian Vettel finished in third. The subdued celebrations on the podium, on which no champagne was sprayed, showed the concern of drivers for Bianchi’s condition. Nico Rosberg took his eighth pole of the season at the Japanese Grand Prix today, qualifying two tenths ahead of team-mate Lewis Hamilton. The two had swapped fastest times in the first two sessions, but when it came to the all important Q3, it was Rosberg who came out on top. Although making a mistake at the hairpin, he outperformed Hamilton who had to fight to keep his car under control in the final sector. Williams had looked promising in the practice sessions, and they followed this up with a second row lockout; Bottas qualifying ahead of Massa. Fernando Alonso, who insists he has not made a decision about 2015, qualified an impressive fifth compared to Kimi Raikkonen’s tenth in the sister car. Ironically, Sebastian Vettel, who announced this morning that he would be leaving Red Bull at the end of the season, qualified in ninth, just ahead of who is expected to be his team-mate in 2015. Ricciardo qualified in sixth, but Red Bull say that both of their cars are set up to optimise performance in the wet conditions tomorrow, so a strong showing from both Vettel and Ricciardo should be expected. The McLaren men lined up in formation, with Kevin Magnussen ahead of Jenson Button, the latter now eager to impress in order to secure a seat next season. Jean-Eric Vergne was the first man to miss the Q3 session and qualified eleventh, but due to his sixth ICE change this season, he was handed a ten-place grid penalty and will subsequently start from twentieth. Therefore, Perez, who qualified twelfth, will start from eleventh. Daniil Kvyat could breathe a sigh of relief today with a seat in Red Bull confirmed for next season, and qualified thirteenth, ahead of Force India’s Nico Hulkenberg and Sauber’s Adrian Sutil and Esteban Gutierrez. Pastor Maldonado and Romain Grosjean were both eliminated during the first Qualifying session, an embarrassing situation for Lotus. Maldonado will not start from seventeenth, however, due to a ten-place engine change penalty he will take, meaning he will start from the very back of the grid. Ahead of him will be Max Chilton and local hero Kamui Kobayashi, in twenty-first and twentieth respectively. Jules Bianchi qualified behind Marcus Ericsson, but explained that a call to the FIA weigh-bridge meant he could not set another flying lap, possibly costing him a higher grid spot. The FIA has locked in tomorrow at 3pm local time as the race start time, despite the certainty of heavy rain at Suzuka thanks to Typhoon Phanfone. The race is not expected to be called off, however, as the brunt of the storm shouldn’t hit the area until after the race. Nonetheless, tomorrow promises to be a tough race. Jenson Button and Valtteri Bottas are two men to pay particular attention to, as they tend to excel in wet conditions. Tomorrow also offers the opportunity for a back-marker team to score a few points, as wet races often have chaotic results. 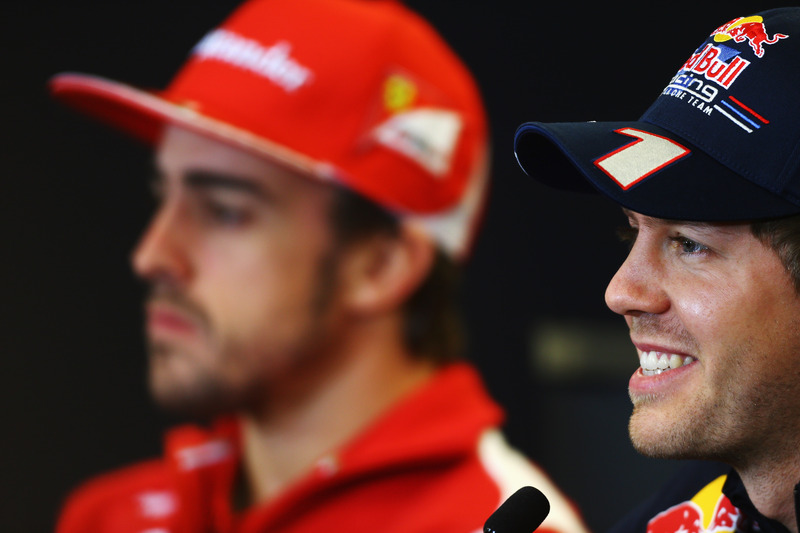 Sebastian Vettel will drive for Scuderia Ferrari in 2015. The Red Bull star’s departure was announced at a press conference ahead of Free Practice Three this morning at the Japanese Grand Prix. Vettel broke the news to Team Principal Christian Horner last night. Of his motivation to leave the team, Horner said: “Obviously Ferrari have made him a very attractive offer. I think the lure of Ferrari, a window has opened there with whatever is going on and he has decided the timing is right for him. Vettel brought Red Bull to the front and helped them secure a string of World Championships since 2010. But this season he has been overshadowed by Daniel Ricciardo who was promoted from sister team Red Bull to fill Mark Webber’s seat after the veteran racer moved to the World Endurance Championship. Red Bull also announced today that Toro Rosso rookie Daniil Kvyat would follow in Ricciardo’s footsteps and join him in the senior team in 2015. This leaves a vacant seat at Toro Rosso beside Max Verstappen, which looks likely to be filled by Carlos Sainz Jr.
Vettel is expected to partner Kimi Raikkonen at the Prancing Horse next season, with Alonso reportedly returning to McLaren, where he famously fell out with Team Principal Martin Whitmarsh while team-mates with Lewis Hamilton. If Alonso does indeed return to McLaren, Jenson Button will likely get the boot, leaving Alonso to partner impressive rookie Kevin Magnussen. As of yet, however, Ferrari have yet to comment on the rumours, instead shooting down queries about the morning’s news. Alonso has been a driver with Ferrari since 2010 but has failed to secure a Championship with the historic team, and he is reportedly dissatisfied with the changes made by new Team Principal Marco Mattiacci. Although Alonso has a contract with Ferrari until the end of 2016, he allegedly asked former Ferrari President, Luca di Montezemolo, to release him as a departing gift. Another theory floated, although unlikely, is that Alonso will stay at the team, and will partner Vettel and Raikkonen in a three car team, should the three car system be introduced for 2015. There are doubts over this weekend’s Japanese Grand Prix taking place due to a typhoon which is set to hit the area this Sunday. Typhoon Phanfone is expected to arrive on race day, bringing heavy rain which would disrupt racing due to safety concerns. Each of a Formula One car’s four Pirelli wet tyres can expel 65 litres per second, but particularly wet conditions can render these ineffective and a driver will lose control – a situation called ‘aquaplaning’, where the car simply slides along the surface water. Therefore, heavy rain this weekend could see the race postponed and eventually cancelled. 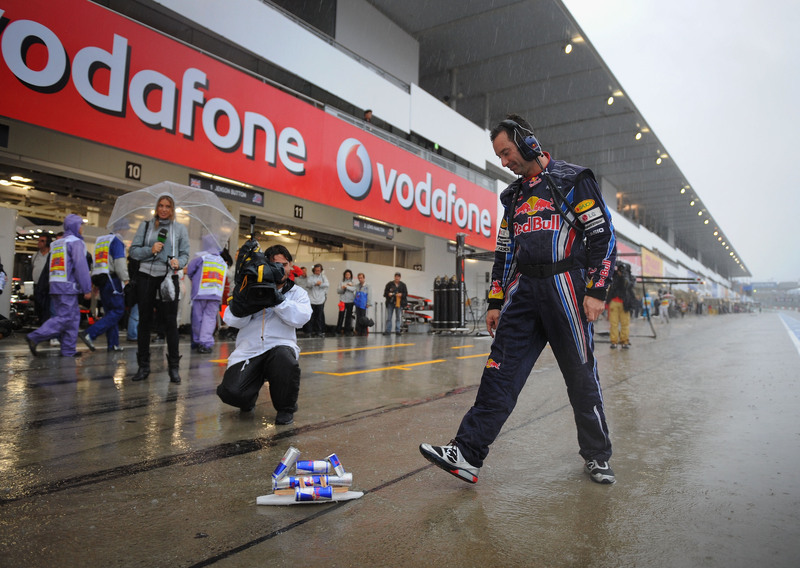 The last time Formula One abandoned a session due to heavy rain was the 2013 Australian Grand Prix where Qualifying was delayed until Sunday morning, when it was dry. With the uncertainty of Sunday hanging over F1, one suggestion being proposed is to hold the race on Saturday afternoon instead. In this scenario Qualifying would replace Saturday morning’s FP3 session, with FP1 and FP2 possibly being extended by half an hour each. The race cannot be moved to Monday due to the rush to the Russian Grand Prix for the following weekend. 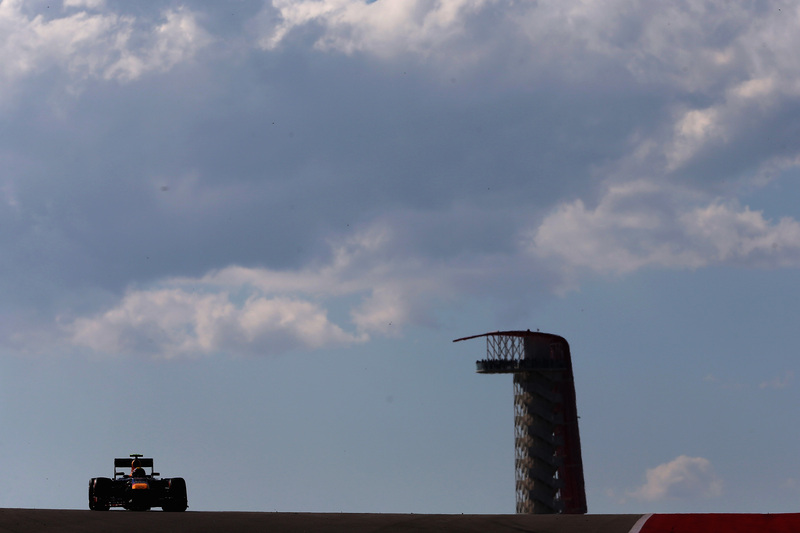 There has been no comment from Formula One Management on the threat of a race cancellation, or the possibility of rescheduling the race, but waiting until Sunday to make a decision could lead to a write-off round.